Samsung’s recall and discontinuation situation has many consumers in a shuffle, as there is no direct replacement for the Samsung Galaxy Note7. 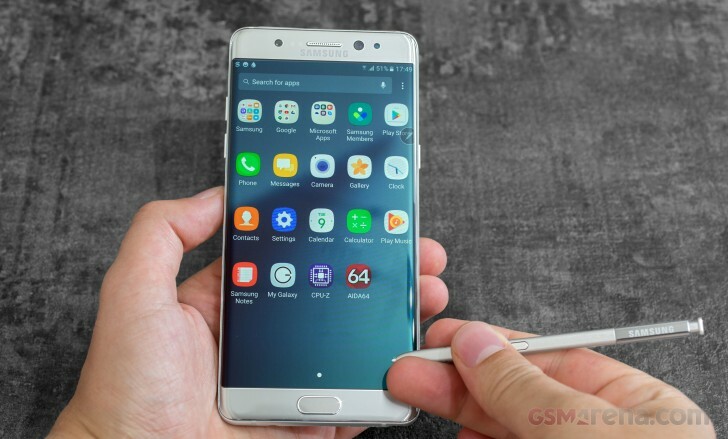 A new survey from Ecommerce solutions which followed the official discontinuation of the Galaxy Note7 asked 1,020 US-based Samsung smartphone owners if they would buy another Samsung phone. 40% of them said “no” and 46% (about 188 people) of those who said “no” became Samsung customers “within the past two years”. 30% of the those who are done with Samsung said they were going to switch to the iPhone 7while the other 70% said they would stick with Android. Interestingly, 8% of those who want to stick with Android have their hearts set on getting the Google Pixel when it comes out. That factors out to about 23 people out of 1020 Samsung customers surveyed. While it’s still hard to gauge how Google’s upcoming Pixel duo will fare as the search giant advertises the Pixel phones that aren’t even out yet, it appears that the Samsung recall situation might benefit Google even if it’s just a little bit. Google is in an advantageous position for filling the void that left many Samsung customers with a sour taste. Google has already spent a lot in advertising and the Pixels aren’t even out yet. LG should step up its marketing game for the V20 right away if it wants its phone to fill the void left by the Note7. Likewise, the Google Pixel will also compete directly against the iPhone, down to the exact same price points and memory options. But with Verizon’s strange “exclusivity” deal that isn’t very clear to the public, most people will shrug when Pixel phones aren’t available at their AT&T, T-Mobile, or Sprint stores. Google needs to advertise the online Google Store and payment installment options if it wants to sell more Pixels in the US. Unless, of course, Verizon’s deal doesn’t allow for that. Are you in the same situation? What phone will you get to replace your Samsung phone (or Note7)?